The Flaming Lips started Electric Würms as a prog-inclined side-project, but their newly released single "The Bat" doesn't sound too different from something you might hear out of the musicians' main project. The song begin with a long, droning intro with jazzy drumming and jagged shards of beyond-distorted guitar. When the vocals finally enter a couple minutes in, they are fragile and quiet. The fact that Steven Drozd is singing rather than Wayne Coyne seems incidental, since it would be easy to imagine Coyne doing something very similar. Listen to it below [via Spin]. 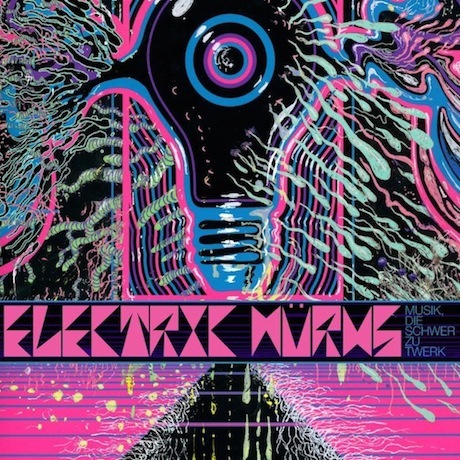 Musik, Die Schwer Zu Twerk will follow on August 19.